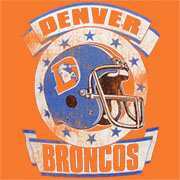 Broncos Country approves this message. However, thanks are in order to the Pats. Thank You for taking care of SD & KC for us. 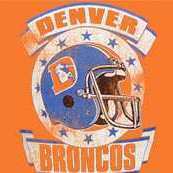 Heres to hoping Talib / CJ / Wade Phillips reach the mountaintop once more! RAM IT! I remember being a kid in the early 90s, and after high school football games, I used to would run and dive into the pylons just to see if they would ever fall over.... Nope. Never happened. Those suckers were screwed into the ground! Good times! I wonder if the Terrell Davis Jersey next to that one is essentially Broncos current home jerseys? I cant believe I'm willingly cheering for the Pats. Definitely gonna need a shower after this. However, I'll gladly exchange needing a shower for seeing a KC/SD AFCCG. Lord knows I'll be getting dirty with the Pats again next week! "Rivers asking wheres the flag?" LOL. OF COURSE HE IS. Its what he does. Please score again and again... and again... Run it up. SVL looks best in Green/Green/Gold. It should be the only combo they ever wear at home. It would be even better if they put the Gold outline on the numbers. Dont even get me started on those ugly white helmets from last season. Just a monstrosity. As a super traditionalist, I was quite unhappy when I saw Michigan getting blue end zones.... But damn if that isn't a good looking football field.